Ever feel like social media marketing can be, well, overwhelming? Believe us, we get it. It’s a fast-moving industry, and with so much to learn and do, it’s easy to feel like you’re falling behind. That’s why we’ve pulled together this list of our top 40 social media marketing tips. It’s your easily skimmable go-to guide that’s full of actionable advice you can implement right now. Plus, we’ve included 12 free templates, guides, and infographics to help you put this advice into action. Add this page to your bookmarks and start learning! Social Media Content Calendar Template: Keep track of every social media post your team needs to publish. Best Times to Post on Social Media Infographic with the best times to post on every channel. Guide To LinkedIn Marketing Infographic: Packed full of stats about your favorite networking channel. Social Media Budget Template: To disperse and keep track of funding. Social Media ROI Report Template: that will walk you through how to use Google Analytics to find out how much money you’re making for every post you publish. Facebook Marketing Strategy Template: To break down how you’re going to use one of the world’s most popular social networks. Social Media Competitive Analysis Template: To observe and record your competitor’s strategies. Social Media Report Template: To track and prove how well your team’s efforts are working. Social Media Proposal Template: To help you format your services and convince clients to work with your team. 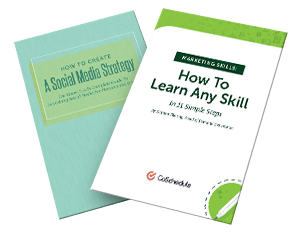 Social Media Strategy Guide: To help your team develop a plan of action for your social networks. How Often to Post on Social Media Infographic: that breaks down the best practices for publishing content on each social channels. Social Media Policy Template: To help outline social network expectations for your employees and deal with an emergency situation. DID YOU KNOW: It's easy to plan, execute, and measure all your social media campaigns on one marketing calendar using CoSchedule? Start your free 14-day trial or schedule a demo today. The first step for any marketing team using Facebook is creating an optimized profile picture and cover photo. A high-resolution photo of your company's logo. Sized down to a 180px x 180px square. Still be recognizable viewing it on a mobile or tablet device. Remember your profile picture is the first thing that your audience sees in their newsfeed. Your logo should still be distinguishable in a small size. Within the same theme as your profile picture. Should tell a more comprehensive story about who your organization is. This could be through taglines, product photos & more. Sized correctly to allow your audience to see the full photo. Right now the optimum size for a cover photo (or video) on Facebook is 815px x 215px. There are no shortcuts when it comes to your social media marketing. That means you need to fill out your Facebook bio. The first part of your Facebook profile is easy to fill out. It should include your company name, when your organization was founded, a phone number and email for people to contact you and a link to your website. There is a section in your Facebook profile that will allow you to give your audience more information about your organization. This part of your bio should include a short "About Us" paragraph, a founding date, and information about the products and services your company offers. The final part of your bio should include a story. Here's how to optimize your business's #Facebook page. Consistently posting to your Facebook page helps get your audience into a rhythm. If they see that you share new content on Mondays, Wednesdays, and Thursdays at noon, it will help remind them to check in. Facebook's algorithm makes it difficult for companies to reach their full audience because newsfeeds are continually reshuffling content and limiting the organic reach of your company's post. To maximize the life of your content, you should schedule your posts to publish at the best time. Did you know @CoSchedule can auto-publish all your social posts at the best times? Tons of advice try and tell you what the best content type is for posting on Facebook. It ranges between images, videos, and links. Here's the truth. As of 2017 videos are the most reliable type of content that your team can publish. Why? Because the current Facebook algorithm pushes them to the top of your audience's newsfeed. Start with a big idea: What topic are your videos going to be centered around? Plan your shooting schedule and write your script. Create a video distribution schedule. Define your publishing and promotion schedule. If you want to guarantee you'll have eyeballs on your content you need to use Facebook advertising and boosted posts. Those eyeballs don't come cheap, and it's up to your social team to determine how much money you're willing to spend to get your posts in front of people. Create guidelines for what types of content you're going to boost. Set goals and choose metrics that will determine the success of your boosted posts. Did you know that you can control who sees your ads based on their demographics? Facebook offers a feature that allows you to create a target demographic and push your content onto their feeds. Before this feature, you used to have to manually create your targeted ad demographics every time you wanted to publish a new ad. Now you can segment your audience and deliver the right content and the right time to help drive your customers deeper into your marketing funnel. CoSchedule will take care of the rest. Hashtags make it easier for your audience to find your content and since Twitter is the birthplace of hashtags, you'll want to use them correctly. Branded: These are hashtags that are specific to your organization. Industry: These hashtags focus on industry topics and trends. Trending: These hashtags are centered around news related topics and will change quickly. Our advice? Mix up the types of hashtags you use in your posts and stick to using 1–2 hashtags per tweet. Twitter may have just extended the length of a tweet to 280 characters but just because you have that space doesn't mean you should use it. Concise: Get straight to the point of what you want to say. Clear: Does what you're trying to say make sense? Conversational: Your tweets should encourage your audience to engage with you. My biggest pet peeve is when I follow someone on Twitter, and almost immediately my inbox goes off, and a canned message appears thanking me for following said person. Automated direct messages come across as impersonal, annoying and lazy. You don't want your organization to be any of those things. "Hi, [Username]. We noticed that you just started following us on Twitter. We wanted to say thank you. If you need anything, reach out and let us know." The latest "thing" that companies are creating to get people to interact with them is to write a random relatable quote and slap a GIF on it. 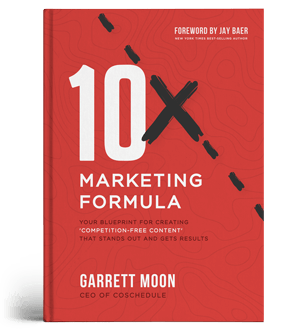 While that may have worked the first five times, now every company out there is trying it and when you're already trying to stand out in a crowded feed, following what everyone else is doing will get you nowhere. Decide what types of posts need to have a GIF. What types of GIFs are appropriate for your organization to use. How often your teams can use GIFs per day. When using a GIF is appropriate. The lifespan of a tweet is about 18 minutes. That means you have an 18-minute window to gather the most views on your content. How do you do that? You want to post at the times when your followers are on. Want to know one of the hacks to keeping up a steady stream of Twitter content? Curate content from your Twitter lists. A Twitter list is a list of users that a person has added into a specific group that will generate a feed of content from only those selected accounts. These are great for when you're following a bunch of thought leaders in your industry and need some awesome content to share in a hurry. Once you've created your lists you can scroll through those select feeds and begin to curate content. However, don't just read a headline and add the article or video to your publishing schedule. Read the entire article. A headline does not tell you all the information that is included in the content. Take the time to actually read the content before you share it. Check to make sure that the information referenced is coming from a reliable source. It's easy to skim content and share it but if they information that you share with your followers isn't accurate it can damage your own creditability, so share wisely. Give credit to the content owners. No one likes having their worked swiped from them so be sure to give credit where credit is due. Adding images and graphics to your tweets will get you 18% more clicks. When tweeting a link to your latest blog post, use one of the images from the post to help drive more clicks on the shared link. The image should relate directly to the subject of your blog post, which should help incentivize people to click. Make sure you use images in every tweet. The more users notice your Google+ posts, the more likely they are to engage. Not only does adding a headline help your post stand out, but Google uses the first words of your Google + post to help it stand out in the Google searches. The bigger, the better! Take advantage of the technology in web design and monitors and use big and bold images. That's one great thing about Google +. You can take advantage of those big pictures. Use images with the .png format rather than the .jpg format to make sure you have high clarity. Stick to using images that are 426 x 255px. You are completely missing out on traffic to your content if you aren't posting at the best times for click-throughs. Blogger Tips Tricks said, "Google Plus has highly active, close-knit communities which can give you massive exposure. Some of these groups have more than 100K members and have high chances of getting significant traffic if you post valuable posts." So, if you aren't on Google+ Communities with a significant amount of members, you're missing out. Creating Circles with other people is a super easy way to grow your Google+ following base and bring traffic to your content. You can create circles for your work, groups you are a part of, location, industry, and even for your niche. Having connections in your circles will help you grow traffic by creating relationships. Having collections makes it easy to organize all your content. You can share your collections publicly, or you can keep them private. Click Create a collection. Name your collection here. When you click on the pen icon, you will be able to write up your collection post, add a link, image, and even a video. Collections give your audience an excellent way to find more content on the topics they love. If your organization's Instagram profile isn't a business profile yet, you are missing out on potential data. Instagram business profiles allow your team to optimize your profile, add contact information and your website into the bio section making it much easier for your audience to interact and connect with you. Flip the switch, and you're done. DID YOU KNOW: Once you have an account set up, you can schedule all your Instagram posts using CoSchedule? See how here. Keep your Instagram profile uniform by keeping your photos within one color scheme. Not only does keeping them in this palette make it easier for fans to recognize your photos it creates a more cohesive profile. From my own experiences, I can tell you that your photo IS important but so is the look of your Instagram feed as a whole. Creating a cohesive feed helps bring the tone of your brand across without having to say a word (literally). How do you know what type of color scheme to use? Use the color scheme that is consistent with your brand. That means that you can pull colors from your logo or other branding materials. You may need to pull out your branding book or talk with your designers to find out what those colors are. Her fashion-forward feed is full of bright, electric colors that complement bold fashion choices. Together those colors convey a sense of confidence which is on point with her personal brand. Like we've already mentioned, consistency in your content is key to a successful Instagram feed. Another way to keep your feed consistent is picking one filter and sticking with it. If you have a design team at your disposal, you may not even need a filter. If you do decide to choose a filter the first thing that you need to do is determine the aesthetic of your brand. Do you want your photos to have more of a grunge feel or a light and airy feel? Using your branding guide, look for the keywords that describe your brand. Bundle them into a group of three and experiment with different filters to find the one that you and your team believe best convey's the intended aesthetic. Hashtags are a big part of Instagram's posts because it allows photos and video content to become searchable on the channel. Unlike Twitter, your Instagram post has a lot more room to breath, but that doesn't mean you should go hashtag happy on every post. Too much of something is not always a good thing. If you're struggling to figure out what types of hashtags to add to your post try a different mix of industry, branded and trending (when applicable) hashtags. Try using a mix of #hashtags in your #social #media posts. Ask anyone about the best times to post on Instagram, and you'll probably get a variety of answers from 2 in the morning to later in the evening around 5 pm. What if we told you it was all of them? Active hours for your audience will vary so experiment with your posting times to see when you can garner the most reactions. 2 am. (Unless you like sleep in which case, sleep). Between 8 am and 9 am. As of February 2017, Instagram added: "Instagram Albums" or the ability to upload more than one photo to a post. Why is adding more than one photo such a game changer? It allows your team to expand on your initial post to tell a more extensive story. DID YOU KNOW: You can schedule multi-image posts in CoSchedule? Learn how here. Instead of trying to choose one perfect photo to showcase a new product now you can show multiple angles and even use cases. Using Instagram Albums can be a great way to recap an event your organization hosted or attended. Showing behind the scenes content. Showcasing culture moments for your organization. Live demonstrations of how to use your product. The best part is that Instagram Stories go straight to the top of the app and you can add as many photos and videos as you want without having to worry about spamming your followers. Like Twitter, Pinterest is overflowing with content. That constant stream of content can make it hard to stand out which is why posting your pins at the right time will help them gain traction. Around 2–4 a.m. and from 2–4 p.m.
And last but not least 1–3 p.m.
Best times to Pin on #Pinterest is at 8–11 p.m., 2–4 a.m., 2–4 p.m., and at 1–3 p.m. The most successful image size for Pinterest images and graphics are long visuals. Make sure you link to content on your blog or website so you can convert the traffic. Stick to using images that are 600 x 1102px. Make sure that the content you add to the pin is easy to read and digest. These need to be skimmable images after all. Pinterest is a heavy keyword site meaning that if you target keywords in your pin descriptions, your pin will surface when that particular keyword is searched. To start, consult your SEO content strategy. If you've centered your content around keywords that your audience is looking for you should already know the keywords to add to your content. Pull the top ten keywords that your audience searches for and start to create content descriptions with those keywords. Utilizing trending topics on Pinterest can help give your pins a little extra boost. Click on the icon next to the search bar. Although trending topics can be a great way to give your pins an extra boost, don't throw your pins into a trending topic unless it makes sense for it to be there. Let's face it; it would be weird if your blog infographic showed up in a list of maternity photos. Linking your pins back to your website is important because without that backlink your audience can't find you. Sure they could Google you, but people are lazy (myself included). Make it easy to find you. You can check your Pins to make sure they lead back to a website page by hovering over your Pin. If the website link is blank, you need to place a URL link there. Press Save. This might seem like a small, time-consuming step, but it's important to do a comprehensive sweep through your pinned content to make sure your pins are directing traffic to your blog or content elsewhere on the web. Let's say your content is producing a ton of traffic and more than half is coming from Pinterest. Wouldn't you want to boost that pin to gain even more traffic? Finally, you'll select your pin, and your campaign will start running. Easy right? Infographics are the heart and soul of Pinterest. They're visually stimulating and highly informative which makes them a sharing goldmine. But, only if they're done correctly. Your business wants to make a substantial first impression on LinkedIn. People are searching for a solution, and they shouldn't have to go through the extra work of having to click to your website to find out more about you. So what does a completed profile look like? Your "About Us" description needs to be concise enough to skim but thorough enough to answer the question "What do you do and what can you do for me?" Choose a niche and specialty category that you'd like to focus on. Write up your group description. Be sure to include the name of your target market and your group's category. Monitor and manage your group. You want your group to be a clean atmosphere for people in your industry to come and chat about what you all enjoy. That means keeping a steady stream of content so be prepared to throw in articles, white papers, podcast links and more those first few weeks to keep the discussion going. Beware of people who are sharing their content merely to get a few extra page views. If the content is relevant to the discussion, by all means, leave it in. However, you don't want other group members to get spammed by content so monitor your page daily if you can. There are a bunch of things that go into writing engaging messages. Write about something your audience will enjoy. When you share content filled with actionable and helpful information you are building trust with your audience. According to Neil Patel, attaching images to your content adds 98 comments. By capturing the attention of your audience, you're able to hook them into your content and engage with them. Do your images have a personal touch? Make sure your images are 531 px wide. We've found that LinkedIn posts receive the bulk of their likes, comments and reach potential within 2 hours of it's posting. To maximize that potential you need to post when your audience is online. Once you publish your post, it will appear as a long-form post. Sharing posts on LinkedIn will help build you engage with your audience and direct traffic back to your blog by including a strong CTA. After you finish writing your post, put your bio at the bottom and link back to your website. You now know the social media marketing tips it takes to build traffic to your blog, website, and social media profiles. If you can take one of these 40 social media marketing tips and put it into practice, you've got what it takes to conquer the world when it comes to marketing on social media.